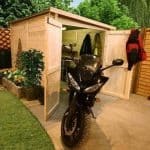 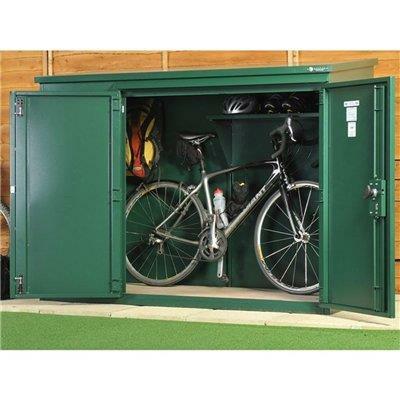 If you’re looking for premium ultimate security for your bikes then this is an LPCB approved store which means that it has been approved for areas that are high risk crime. 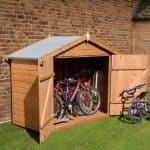 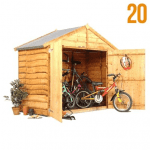 It is a really sturdy and secure piece, with plenty of bolts and locks you can feel rest assured that your bicycle is safe when locked away in The Annexe. 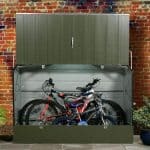 It has good ventilation to prevent condensation forming and guarantees your bike being clean and dry. 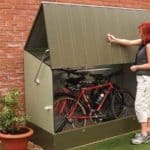 Large double doors mean you can gain easy access and there is a rain guard too giving extra protection even in the worst weather.